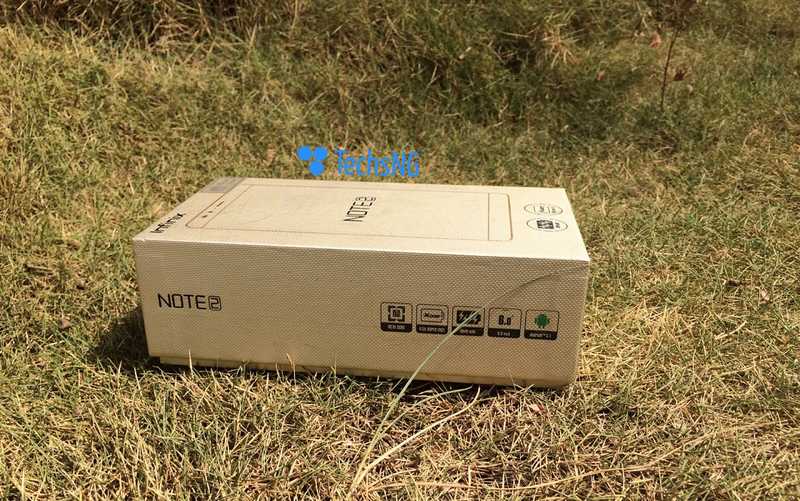 Hello guys, welcome to another unboxing episode and today, we are unboxing the Infinix Note 2. 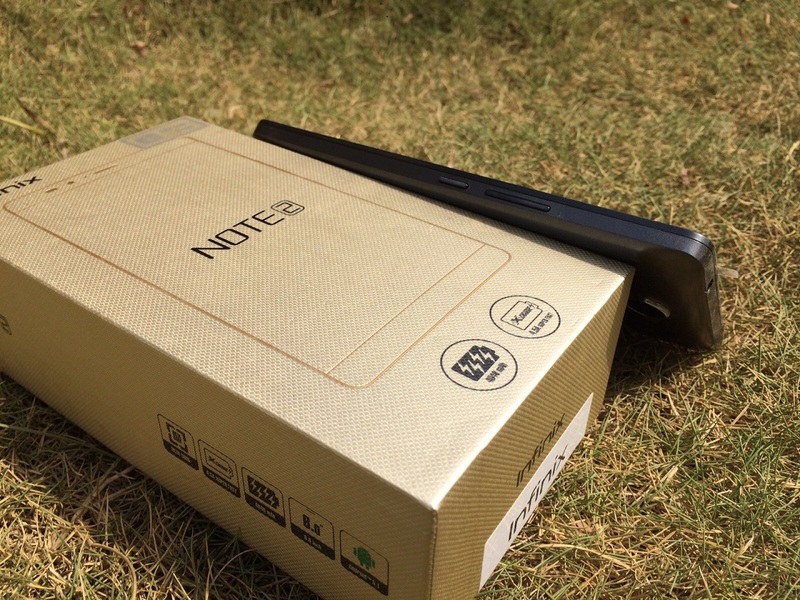 The Note 2 x600 was officially launched on the 27th of November. However, it wasn’t available in the Nigerian market until couple of days back. 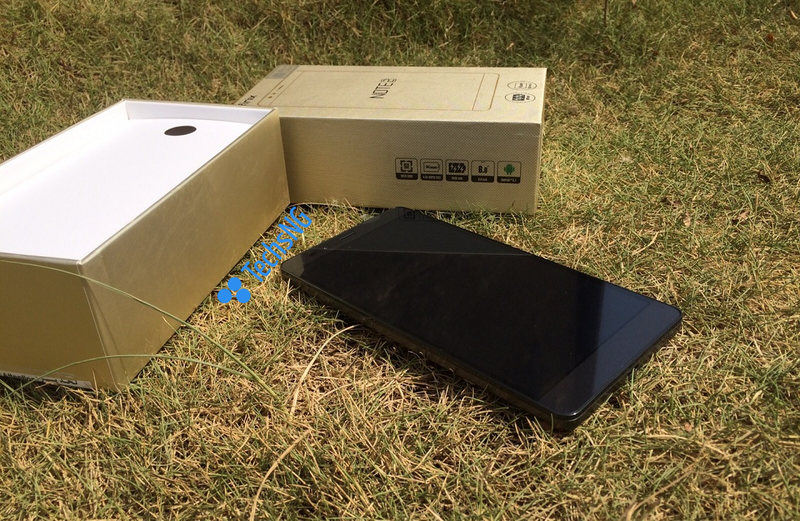 Earlier before now, I had published a quick unboxing article of the device. However, that post was brought courtesy of a Ghanaian. Since we just got a unit of the smartphone, I believe it’s best I feed you guys with our traditional unboxing version lol. Unfortunately, I won’t be able to deliver a video for this unboxing like I have often been doing. This is due to unforeseen circumstances. I will try to make it up in subsequent unboxing and review. Nevertheless, I will be publishing enough pictures which should give you an idea of what to expect should you decide to purchase the smartphone. Now to the unboxing proper. Let’s start off with the packing. The pack size of the Note 2 is really no much different from that of the hot, hot 2 and hot note (just a few more inch in height). The box is said to be made of 100% post-consumer recycled and degradable materials. And oh yes, the design on the note 2 pack feels better in the hands compared to what we have often been seeing from the brand. Moving on, on the top of the pack is an image of the Note 2 alongside the battery specs and the fast charging technology. 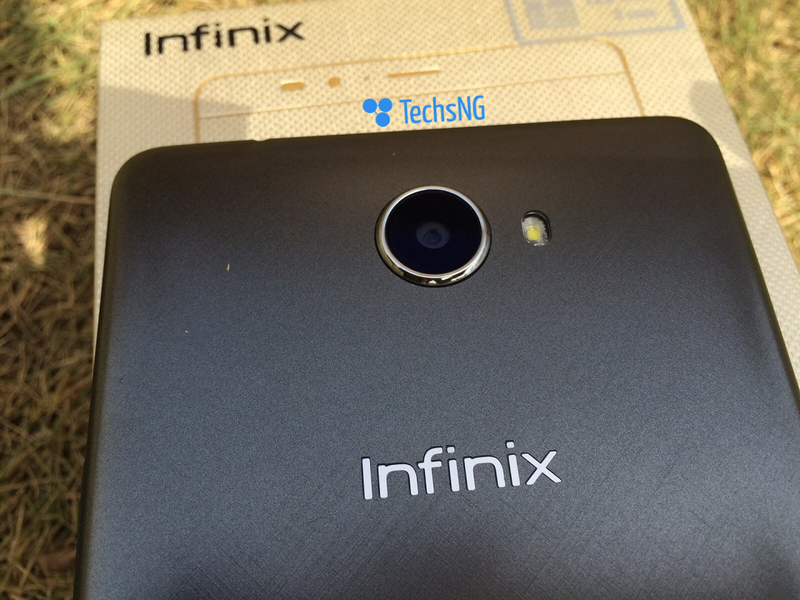 Not forgetting ‘Infinix’ stated on the top. On the left side, is boldly written NOTE 2 alongside the processor being Octa-Core, 4.5A Super fast, 4040mAh, 6.0-inch and Android 5.1. 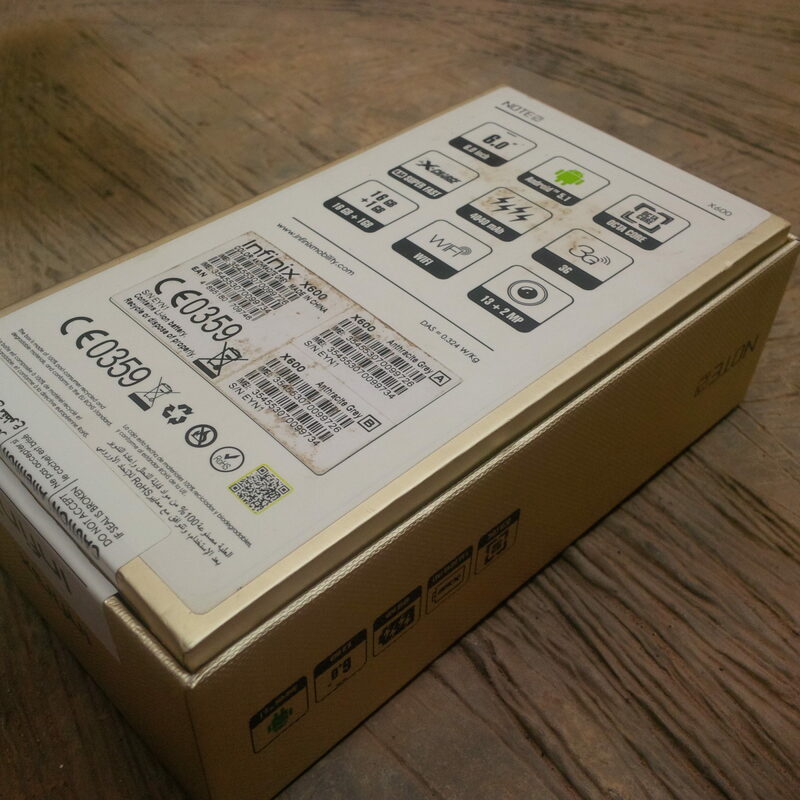 On the button of the device is the regular suspect; the Note 2 quick specifications accompanied with a label giving information about color of device, IMEI, serial number, etc. The version we got here is the 1GB RAM and 16GB ROM. The 2GB RAM version with 4G LTE isn’t available in the country yet (sad). 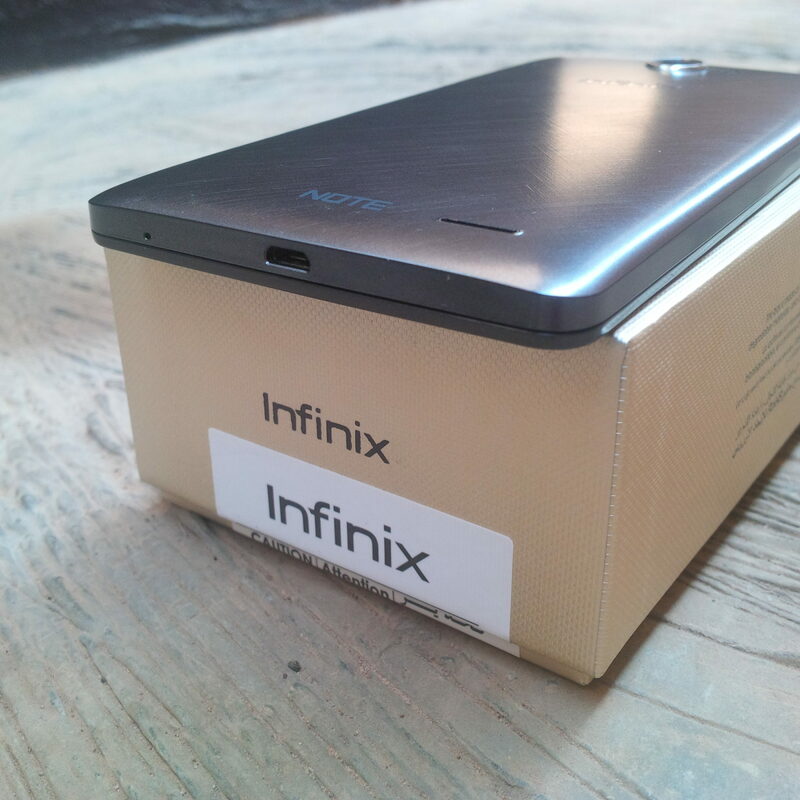 Unboxing the pack, the first thing that greets the eyes is the nicely placed Infinix Note 2 (no wraps this time) looking pretty big like a king (it’s 6-inch). Going deeper into the box, comes with other accessories like Charger, USB cable and Manual (No ear-piece this time. *Sad face*). 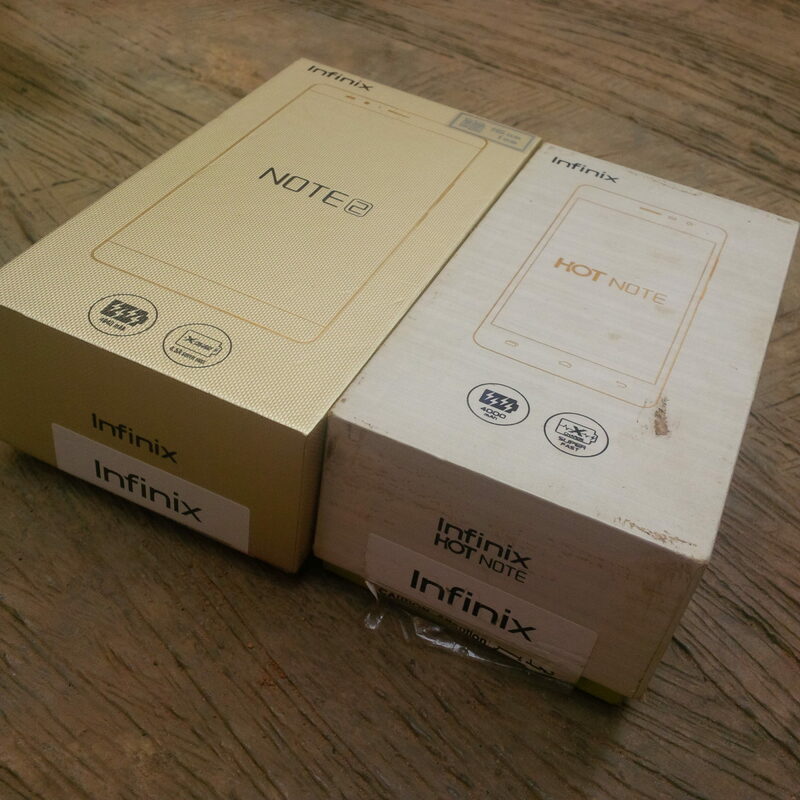 Now to the main koko, the infinix Note 2. The smart phone has pretty much design with the Hot Note. The basic difference would be the size and back cover design. Even though the Note 2 is pretty big, it fits in my hands well and credit goes to the back cover design. 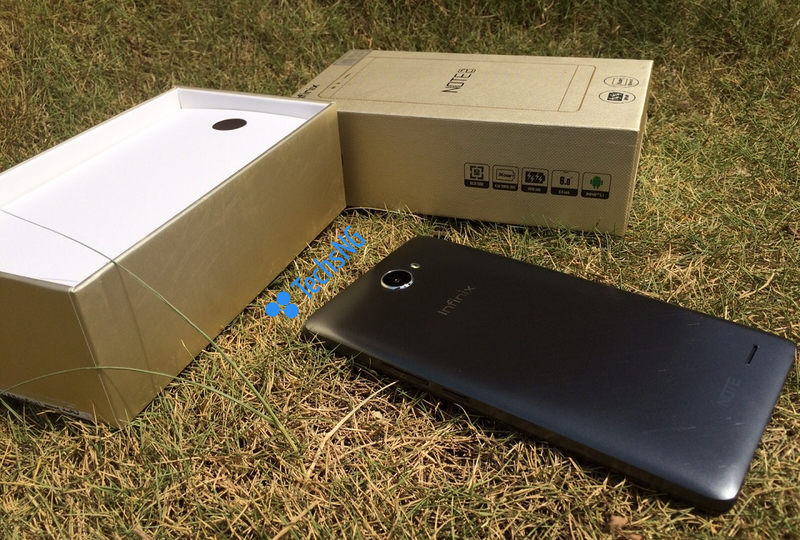 The thin bezels gives the design an edge over its predecessors. The left side of the smart phone is pretty empty. I mean, no buttons in that region. At the right side of the smart phone, we have the volume buttons and the power buttons rightly placed. At the top of the phone, we have the 3.5mm jack and that’s pretty much everything in that region. Positioned at the bottom, we have the charging port and the microphone point. The speaker is placed at the lower side of the back Part and not forgetting the branding is also at the back of the smart phone. At the back of the phone, we have the camera placed at the center-top of the phone with the flash just beside it. 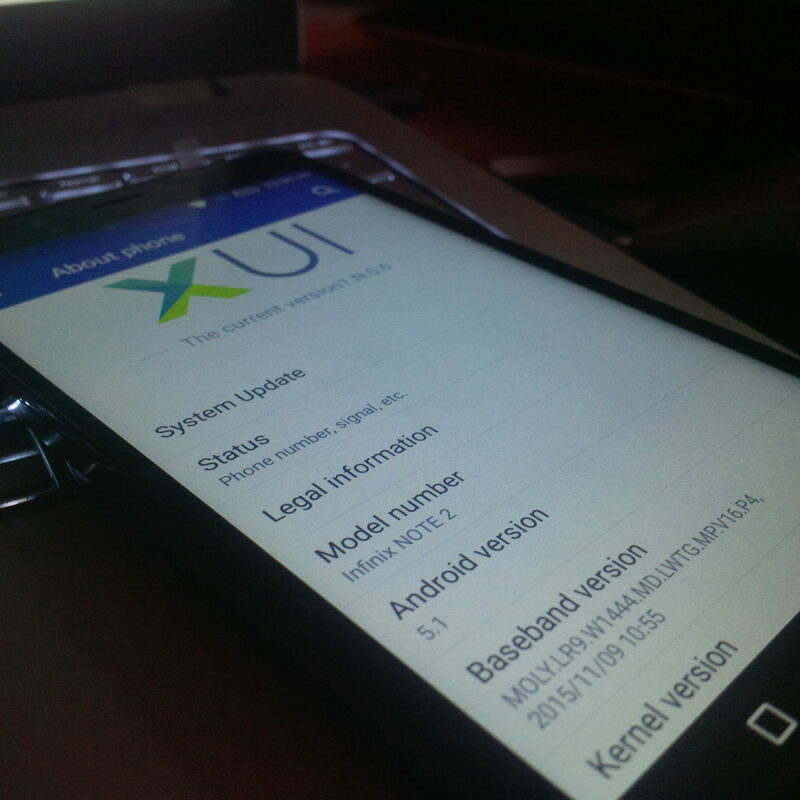 Turning on the smartphone, you get same animation you’d see on the hot note and of course, it’s running XUI UI which is based on android 5.1 lollipop. Yes, virtually everything that’s got an advantage has also got a/some disadvantages. I am particularly not convenient with the camera placement. I will be taking more on that in the full review. More so, the speaker placement hasn’t changed on the Note series and am wondering why. 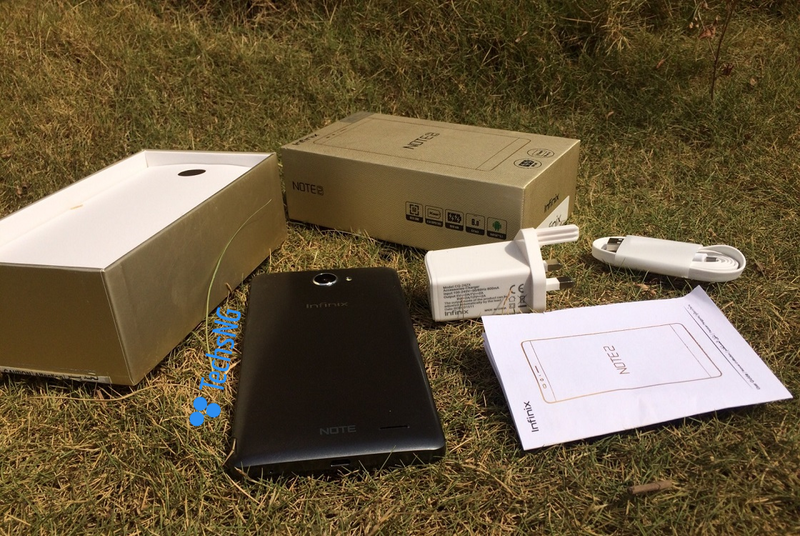 Most users have often complained of devices having their speakers under the phone and when the brand launched the Hot 2, we thought we had seen a change but No, the Note 2 took the speaker to its usual position as though that’s where it is destined to be. 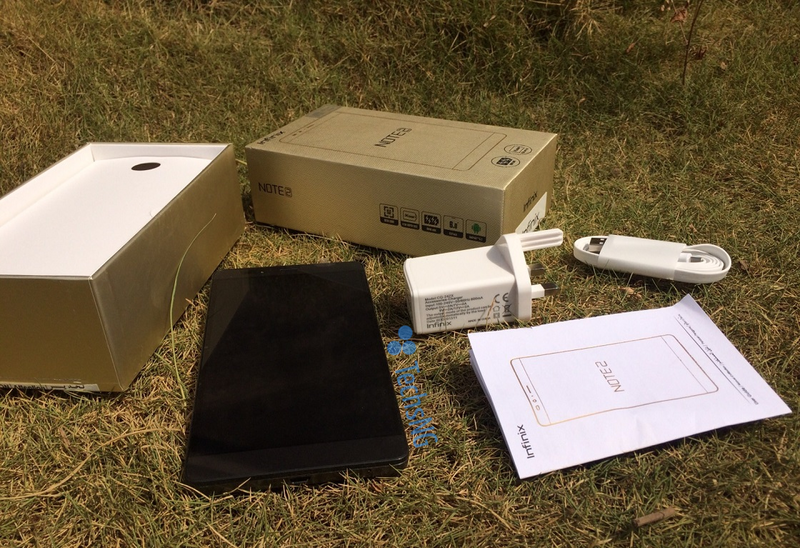 In the coming weeks, we will be giving a full review of the Infinix Note 2 x600 phone so do stay tuned and you should be expecting a handful of tutorials in regards these devices going forth. Cheers! Still understandable, that was good. Nice. Mr Samuel, was it yr zero 2 u used in capturing? No Desmond. I used an iPhone and a Blackberry 10 phone. Nice unboxing man! As always!